In the medical world, high blood pressure is a “silent killer,” often caused by clogged arteries. 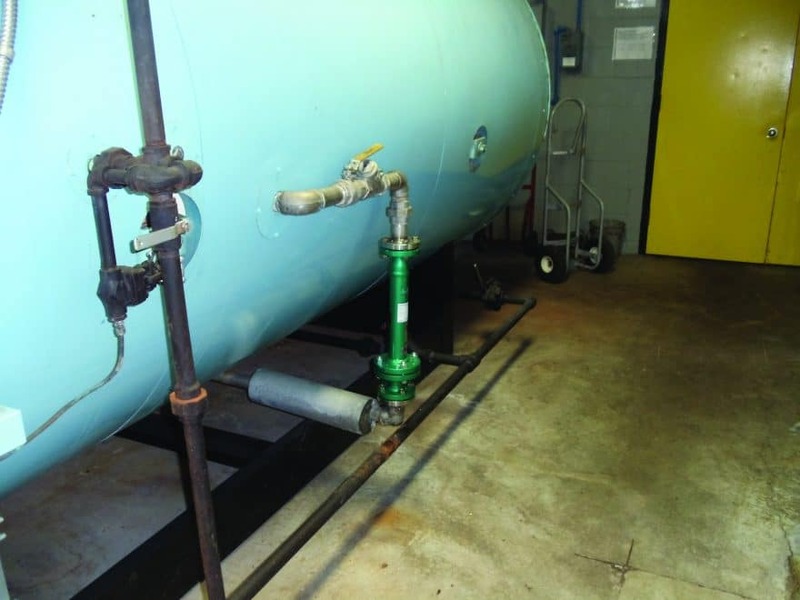 The world of foodservice equipment, water heaters, steam boilers, cooling towers and other equipment that uses water, has its own silent killer: scale buildup and corrosion. Much like plaque can clog arteries, scale and corrosion buildup clogs plumbing systems and other equipment where water flows. That makes it harder for water to circulate, reduces efficiency, causes downtime and maintenance requirements, and can drastically shorten equipment lifespan. Superior Manufacturing Corporation says it has the solution. 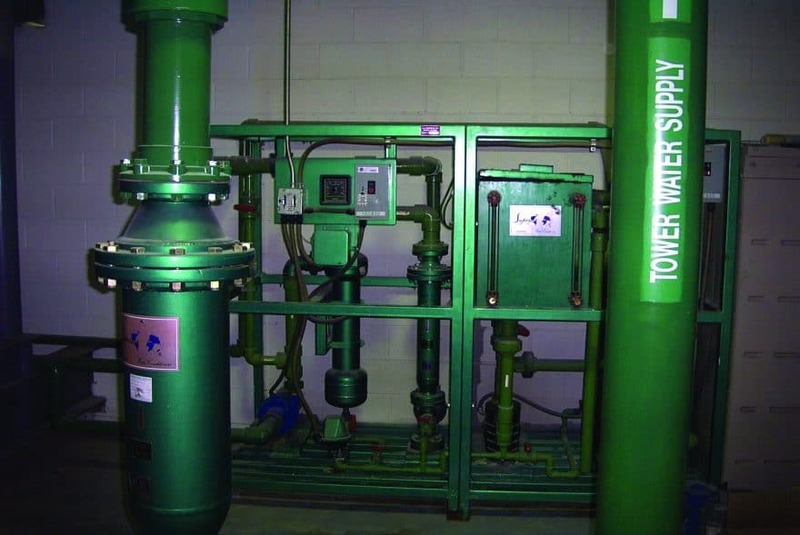 Since 1964, the Fort Wayne, Indiana-based company has been manufacturing Superior Water Conditioners, systems which prevent scale and corrosion and reduce existing buildup inside of pipes and equipment—all without the use of chemicals. The products have been around for decades, and as green building trends burgeon, the company hopes to get Superior Water Conditioners into the hands of more distributors. For the green building community in particular, Superior Water Conditioners offer three major benefits: a non-polluting and chemical-free alternative to preventing scale and corrosion, reduced energy usage and water conservation. In addition, Superior Water Conditioners are a cost-effective way of treating water. When Chuck Sanderson, Superior Manufacturing’s vice president, attends trade shows, he always brings segments of pipe with scale buildup. In some three-quarter-inch pipes, there is so much scale buildup only a pencil-tip-sized channel remains for water to pass through. “I’ve had people tell me that that’s probably what their arteries look like,” he says, laughing. As Sanderson explains, scale buildup is caused when the minerals in water stick to the inside of pipes and on the heat transfer surfaces of water-using equipment. When that happens in industrial heating, cooling and steam process systems—like water heaters, cooling towers, boilers and more than 400 other applications— scale buildup makes them less efficient. According to the National Institute of Standards and Technology (NIST), as little as a sixteenth of an inch of scale on heat transfer surfaces requires 15 percent more energy. A half-inch of scale buildup requires as much as 70 percent more energy. This is not a new problem, but for more than 150 years, chemical treatment has been the norm. In fact, before Sanderson’s father started the business, he was a chemical salesman. But he knew there had to be a better way. While chemicals can prevent scale, they’re costly, they must be ordered and administered regularly and they have to be disposed of carefully. In one particularly upsetting incident, Sanderson’s father watched a man pour chromates down the drain. Fortunately, the drum was mostly empty, as he was replacing it with a new one. Today, the dangers of chromates are so well-known that they are no longer in use, but companies use a host of other chemicals. In contrast, Superior Water Conditioners are carefully engineered devices, not additives. They are designed so that, as water passes through them, it is exposed to a series of alternating, reversing-polarity magnetic fields, which alter the molecular structure of minerals so they cannot stick together. Then, those altered minerals precipitate out of solution in a suspended state called aragonite, which flows through the plumbing system or drops into a low-point in the water-using equipment, and from there, they can be manually removed through blow-down or bleed-off. That technology can be used in a wide range of settings, because Superior Water Conditioners—streamlined cylindrical units that fit between lengths of pipe—come in many standard sizes to accommodate flow rates ranging from 1 gallon per hour to 8,000 gallons per minute. And larger sizes can be fabricated to accommodate even greater flow rates. That makes Superior Water Conditioners versatile, and today they’re used worldwide. In 2011, H.J. Heinz Company decided to use Superior Water Conditioners at the Fort Myers, Florida, facility where it produces Bagel Bites. Heinz had been chemically treating the water for three roof-top evaporative condensers and a process steam boiler for years. It was spending $42,000 per year, but still had scale and corrosion problems which had to be dealt with regularly. The Superior Water Conditioners that Heinz purchased totaled $38,350, so the system provided a payback in less than 11 months in chemical savings alone. More importantly, Heinz saw the initial results in as few as six weeks. In addition to preventing scale from forming, Superior Water Conditioners reduce the surface tension of water, making it more soluble. As a result, the treated water actually breaks down existing buildup. After six weeks of using Superior Water Conditioners, Heinz saw the existing scale buildup dropping off from the condenser tubes into the sump below, where it was easily removed and disposed of. There’s an added perk. When scale is chemically removed, the metal pipes are exposed to water, which is naturally corrosive. “Water is a universal solvent and it will dissolve anything over time, even plumbing systems,” Sanderson says. So, in cases where Super Manufacturing’s systems aren’t in use, companies add more chemicals to the water to prevent corrosion. That’s not necessary with Superior Water Conditioners because, once the existing scale has dissolved, the aragonite—the precipitated minerals—leaves a thin film over the metal pipes. “That helps to create a barrier which keeps the free oxygen and other aggressive components in the water from getting to and attacking the metal, thus preventing corrosion,” Sanderson says. According to Superior Manufacturing, steel companies, textile mills, self-service car washes and other equally diverse enterprises have seen positive results. Eli Lilly and Company (Lilly), a global pharmaceutical company headquartered in Indianapolis, Indiana, installed a Superior Water Conditioner on an 8,000 ton cooling tower. 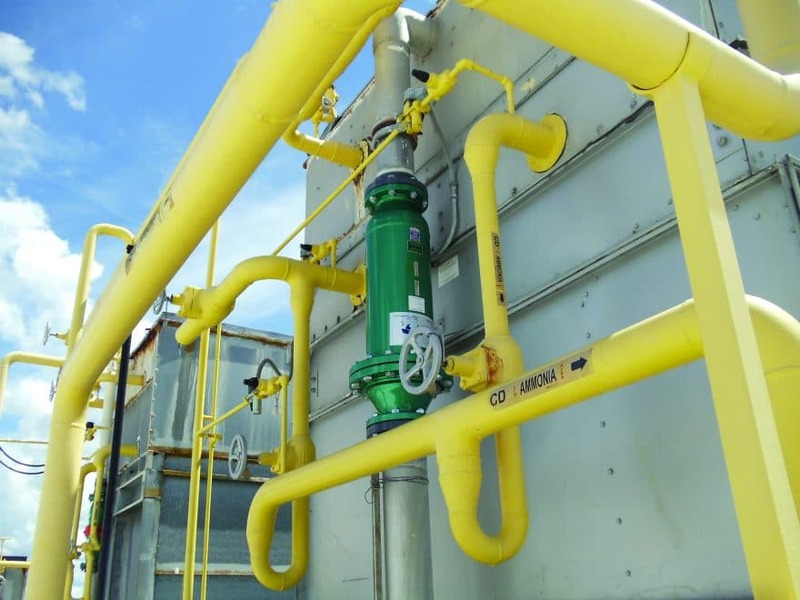 Lilly reported that the Superior Water Conditioner removed 51 percent more calcium from the system water than chemical treatment had, and over the course of one year, the chillers in the cooling tower ran 11 percent more efficiently than they had when chemically treated. L&L Products, which engineers and manufactures sealing solutions for automotive and aerospace industries, has used Superior Water Conditioners for more than 27 years. In addition to effectively preventing scale buildup, the systems help L&L Products conserve two million gallons of water annually and keep another two million gallons of chemically-treated water from being dumped into the wetlands or hauled away every year. The benefits are not restricted to industrial clients, though. The systems work equally well for residential and commercial applications, where scale can, for instance, damage humidifiers, ice makers, coffee machines, steam ovens and other foodservice equipment. Superior Water Conditioners also work well as a pretreatment for reverse osmosis systems to prevent premature membrane failure and enhance performance. Superior Manufacturing Corporation says it is committed to improving the environment and delivering the best possible chemical-free solution to their customers’ hard water related problems.